July 8, 2015, 3 p.m.
By Joseph Lichterman @ylichterman July 8, 2015, 3 p.m. The jokes in Upworthy writer Eric March’s piece “5 incredibly delicious chain restaurants you should never, ever eat at and 1 you should but can’t” are unrelenting. On and on they go. There are more than 65 jokes throughout the 5,000-word story, Amy O’Leary, Upworthy’s editorial director, told me. And that was intentional. Upworthy has been shifting away from its origins as a master of Facebook-maximizing aggregated clickbait to begin producing more original articles and videos. O’Leary joined Upworthy from The New York Times in February to lead the transition. Today, the company is releasing a report outlining its data-centric approach to storytelling while also highlighting original pieces — such as March’s fast food take — that Upworthy says epitomize its new strategy. Using the user data it’s collected, Upworthy found that elements like humor and a story structure that built in suspense would draw in readers and keep them on the page and better engaged. Since it was published on June 25, March’s story has received more than 2 million unique visitors. 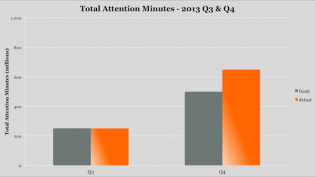 In February 2014, Upworthy said it was introducing a new metric, called “attention minutes,” as the primary way to measure how its stories were doing. Time spent, O’Leary said, is still one of the critical metrics Upworthy uses to measure its content, but she said it’s part of a larger mix of information to get a three-dimensional view of user behavior. With the fast-food story, for instance, Upworthy could tell the story was successful even before it took off socially because it was able to see that early readers were engaging with the piece and reading through to the end. O’Leary holds a weekly meeting with Upworthy’s editorial team where they go through the metrics of every story Upworthy publishes to get a sense of why a story or video performed well or not. For pieces that didn’t do so well, Upworthy tries to parse the data to understand how it could better engage readers. Losing readers has become something of a problem for Upworthy; its traffic has plummeted since reaching a peak of 88 million unique visitors in November 2013, according to Quantcast data. By January 2014, Upworthy had fallen to 49 million unique visitors, and it has continued to see a decrease in visitors. In June, according to Quantcast, Upworthy had 19.8 million unique visitors. That drop has been attributed to Facebook tweaking its News Feed algorithm to de-emphasize the curiosity-gap style of headline. In March, Upworthy cofounder Peter Koechley apologized for the clickbait headlines that the company became known for. “We unleashed a monster. Sorry for that,” Koechley said in a speech at The Guardian’s Changing Media Summit. Despite its trouble with Facebook and its shift away from clickbait headlines, distributed platforms — in particular Facebook — are still key drivers for Upworthy. The site, Pariser said, is more interested in creating high-quality pieces than in gaming the algorithm. Even with Upworthy’s shift to producing its own content, aggregation — or curation, its preferred term — is still part of the site’s editorial strategy. Upworthy works with outside producers to license their work to run on Upworthy and its social media platforms. “We’re interested in bringing the best stories we can to our audience,” Pariser said, comparing the strategy to Netflix’s dual approach with original series and its collection of existing movies and TV shows. Upworthy doesn’t have a set target for the share of original content, but O’Leary said she aims to have “a healthy mix” of each type of content as she continues to transition the staff’s focus. Among the first things O’Leary did when joining the site was eliminate the title “curator.” Editorial staffers were given new titles as “writers,” and there have been a flurry of staffing changes as some people were let go and others were hired to fit into Upworthy’s new direction. There are about 30 people now on Upworthy’s editorial staff. While much of the change has happened in editorial, it’s also applying the lessons it’s learning to its business operations, which focus on native advertisements that mirror the site’s do-good editorial tone. Upworthy launched its branded content operation in April 2014, and last year it brought in $10 million through working with companies such as Unilever and Starbucks. On the editorial side, though, Upworthy plans to continue experimenting with new story formats. Last month, 73 percent of Upworthy’s traffic came from phones and tablets, Pariser said, and O’Leary added that nobody has really figured out yet what works best on mobile. POSTED July 8, 2015, 3 p.m.
Lichterman, Joseph. 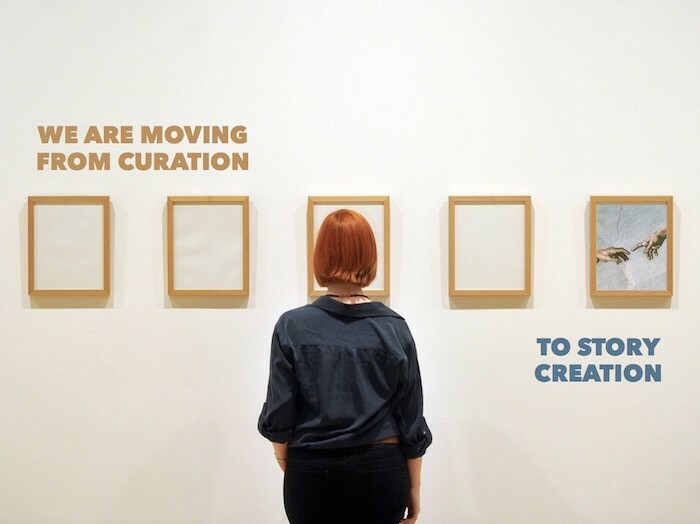 "How Upworthy is using data to move beyond clickbait and curation." Nieman Journalism Lab. Nieman Foundation for Journalism at Harvard, 8 Jul. 2015. Web. 22 Apr. 2019. Lichterman, Joseph. 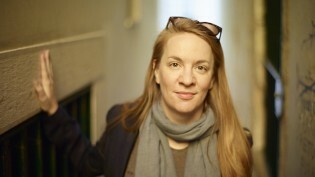 "How Upworthy is using data to move beyond clickbait and curation." Nieman Journalism Lab. Last modified July 8, 2015. Accessed April 22, 2019. https://www.niemanlab.org/2015/07/how-upworthy-is-using-data-to-move-beyond-clickbait-and-curation/.